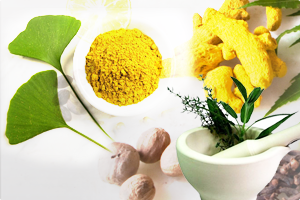 Ayurvedalive is a brand associated with Seven Ayurveda Care and owned by Dr. Shweta Labde. SEVEN AYURVEDA CARE is a registered Ayurveda clinic, founded by eminent Ayurvedic practitioners, Dr. Shweta Labde and Dr. Archana Halande. Established in October 2013, we aim to render effective cure for various diseases with authentic Ayurvedic medicines and curative – rejuvenating Panchakarma therapies for people in all walks of society. At Seven Ayurveda Care, we make every effort to ease all your health troubles, and make the treatment process more convenient & efficient, by providing best of the consulting, comfort and treatment modalities to our patients. The clinic is exclusively designed keeping in mind patient’s comfort with facilities like spacious waiting area, separate medicine dispensing unit and two comfortable consulting cabins. There is a specially designed well-equipped panchakarma room where all the authentic panchakarma therapies are performed according to specifications of the patient. Music therapy is also incorporated which serves an additive healing touch and a relaxing ambiance. A special room is designed for Garbhasanskar workshops and an another room for all the gynecology procedures. At SEVEN AYURVEDA CARE, we do care to ease all your health troubles, Genesis problems(infertility), Paediatric care, Garbha sanskar, Height consultation, Joint care, Suvarna prashan and lot more, thus making your life ‘Perfectly Complete’ just like the number SEVEN.